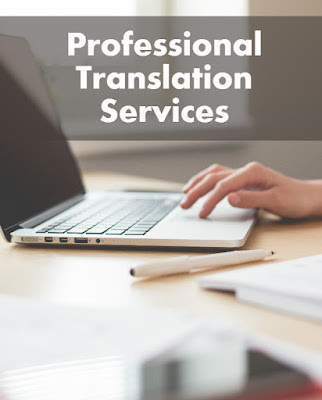 Spanish Translation Service for Spanish to English interpretations and English to Spanish interpretations from a set up and trusted interpretation organization. Spilling Translation consequently deciphers your voice ongoing in up to 40 dialects for interpreting online classes, worldwide preparing, and universal talks; in addition to gives worldwide visit programming to client administration and technical support, computerized guided visit frameworks, and voice interpretation programming for online multi-dialect gatherings. Here are some useful phrases to use in emergencies. Shouting 'Fire!' or the equivalent in other languages may get more reaction than shouting 'Help!'. Albanian (Gheg) Nihmojëm! Zjarm! Nalu! Albanian (Tosk) ﻿Ndihmë! ﻿Zjarr! ﻿Ndalo! (Egyptian) (ilHaʿni!) اإلحقني! (Hareeʿ!) حريق! (uʿaf!) أقف! (Moroccan) (ʿṭeqnī!) عتقني! (lʿafīya!) العافية! (wqef!) وقف! (Guam dialect) Ayuda! Guafe! Båsta! (North Marianas dialect) Ayuda! Guafe! Basta! Croatian U pomoć! Požar! Stani! Faroese Hjálp! Eldur í! Steðga! Fijian Kere veivuke! Kama! Kele! Flemish (West) Help! Brand! Stop! À l'aide ! Au feu ! Arrêtez ! Frisian (North) Heelp! Iilj! Hüülj! Frisian (West) Help! Brân! Stop! Haitian Creole Anmwe! Dife! Rete! Hebrew (atsiloo!) הצילו! (srefah!) שרפה! (atsor!) עצור! Hungarian Segítség! Tűz (van)! Állj meg! Igbo Nye aka! Ọkụ! Kwụsi! Irish (Gaelic) Tarrtháil! Tine! Stad! Italian Aiuto! Al fuoco! Ferma! Khoekhoe (Nama) Hui te! Hui te! ǀÛ! Klingon HIQaH! QaH! qul! mev! Lozi Ni tuse! Mulilo! Yema! Luxembourgish Hëllef! Feier! Stop! Bleif stoen! Malagasy Mila fanampiana! Misy may ô! Mijanona! Manx (Gaelic) Cooin lhiam! Aile! Fark ort! Ndebele (Northern) Nceda! Umlilo! Mana! Newari / Nepal Bhasa ग्वहालि! मिँ! आसे! Northern Sámi Veahkki! Dolla! Bisán! Northern Sotho Thuša! Mollo! Ema! Pashto (marasta!) مرسته! (aor!) اور! (wadrega!) ودريږه! Samoan Fia ola! Le afi! Soia! Slovak Pomoc! Horí! Stop! Stoj! Somali I caawi! Dab! Joogso! Swahili Msaada! Moto! Usifanye hivyo! Swedish Hjälp! Det brinner! Stanna! Swiss German Hilfe! Füür! Halt! Tagalog Saklolo! Tulong! Sunog! Para! Tok Pisin Help! Paia! Holim! Tongan Tokoni mai! Koe afi! Dur! Uzbek Yordam bering! Yong'in! To'htang! Venetian Aiuto! Al fogo! Stop! Cứu tôi với Cháy! Ngừng lại! Welsh Helpa fi! Helpwch fi! Tân! Aros! Arhoswch! Yiddish (Ratevet!) ראטעוועט! (Fayer!) פֿייער ! (Halt!) האלט! Yoruba Ẹ gba mi o! Ina o! Duro nbẹ!